A few weeks ago, Peter from Baseball Every Night challenged us bloggers to show off our absolute favorite card of our absolute favorite player. Running with the concept, I decided to expand upon the idea by drafting it into a "top five" countdown of my most preferred cards of the one and only Ron Santo. 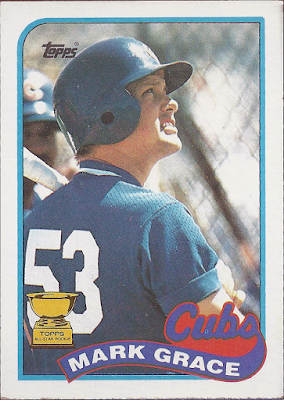 Although I wasn't alive to see him play, his antics on the radio, his struggles and triumphs over diabetes, his charity work, and his battle with the Hall of Fame endeared me to the Cubs' greatest third baseman. Apparently, this entry into Peter's contest just so happened to come out on top of the randomizer and I WON! A super special surprise prize will be coming my way in a month or so and I am bursting with anticipation. On a similar note, Collecting Cutch has also issued a challenge to the blogosphere - to compose a list of your top 10 favorite cards of your favorite player. Since I did so well with Peter's contest, I figured that I might as well throw my hat in this ring, as well. But, since I already divulged the top 5 favs of my favorite player of all-time, I figured I should go a different route in this round - y'know, fresh content and all. So, moving across the infield from third to first, allow me to present my ten favorite cards of my favorite player who I actually saw play. Of course, Grace was certainly not known for his mound exploits; rather, the first baseman played for sixteen seasons at baseball's highest level - thirteen with the Cubs and three with the Arizona Diamondbacks. Along the way, the gritty veteran earned three All-Star nominations and four Gold Glove awards for his "amazing" glove work at first base. He wasn't a slouch with the bat either, with a .303 career batting average and the most hits out of anyone in the entire decade of the 1990's. Needless to say, during that dismal decade, Mark Grace was one of the bright spots and few reasons to come take in a ballgame at the Friendly Confines. 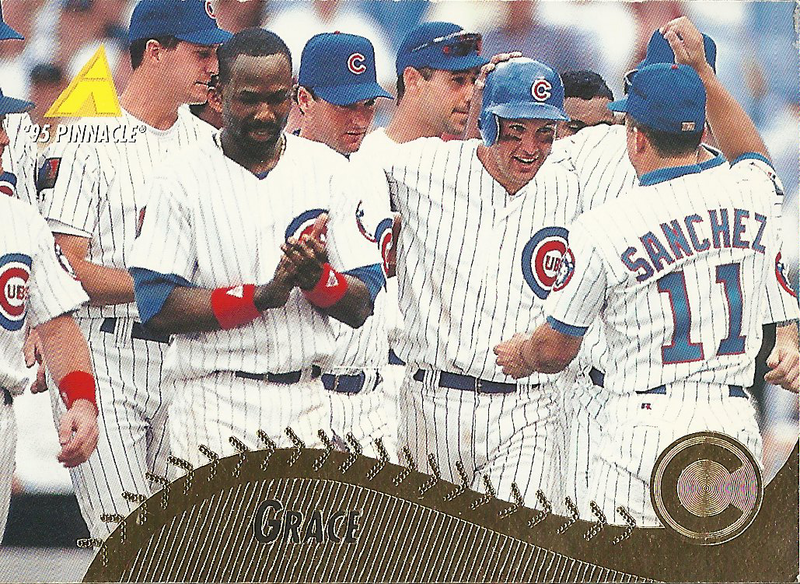 With that in mind, it should be no surprise that this 90's kid latched onto Grace as one of my favorite players. It didn't hurt that he had such a cool name either. His transgressions off of the field, related to drinking problems, in recent years have tarnished his reputation some; but, he appears to be recovering well and attempting to make amends. He'll always be the star first baseman for the Cubs to me. Okay - so ten favorite cards of my favorite player who I actually saw play. Let's do this! 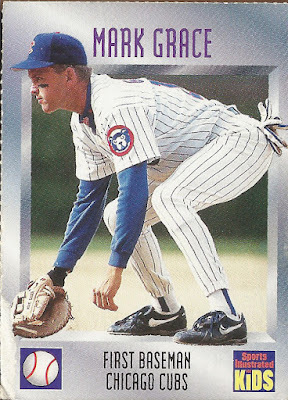 Though he is the MLB hits leader for the decade of the 1990's and was a 13-year starter at a premier position for a club with one of the most devoted fan bases in baseball, Mark Grace hasn't gotten a lot of love from the major card companies in his post-playing career. I guess this is a symptom of being stuck in the Hall of Very Good - plus, we definitely need more cards of Ernie Banks and Fergie Jenkins. That's the way the cookie crumbles. On that note, I was uber excited to see that Gracie appeared on the checklist for my favorite insert set of last year's Flagship release. Here we have Grace, early in his long career, taking a powerful cut, framed with bricks, ivy and the historic Wrigley marquee. What's not to love here? Here is a sight that still jars me, to this very day. All in the name of clearing a path for Hee-Seop Choi and Julio Zuleta *shudders*, the Cubs allowed one of the faces of their franchise to walk away after the 2000 season. Grace went on to sign with the Diamondbacks, where he was a key contributor to their very first World Series title in 2001. I'm happy that Mark was able to get his ring, but he just looks bizarre in purple. ...here we have the very last Topps Flagship card of the four-time Gold Glove winner, ready to field anything that comes at him and with a prominent sighting of his captain's "C" on his sleeve. 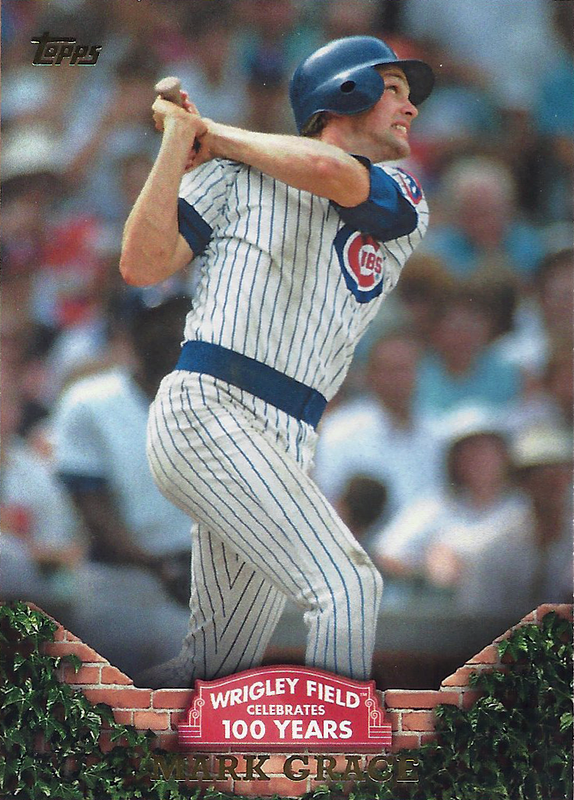 Overall, the card itself is not all that memorable, but what it represents is culturally significant, at least to me and to other fans of Chicago's Northside baseball club. 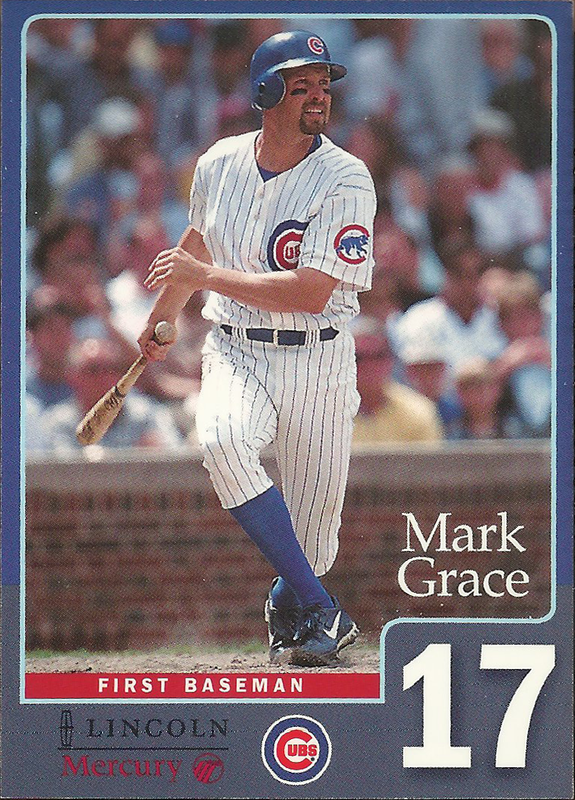 Let me just take this opportunity to shout it from the (virtual) rooftops - MARK GRACE SHOULD HAVE BEEN A LIFETIME CUB!!!! There - I feel better now. On a much happier note, take a gander at an exuberant Gracie after blasting a walk-off bomb - that is, if you can pick him out of the crowd in this '95 Pinnacle gem. While home plate celebrations have become almost routine at this point of baseball history and appear fairly often on cardboard, that was not the case in 1995. Therefore, when I pulled this at the time, despite it's foil-overboard design, it captured my imagination. As for the event pictured, I believe that the photo hails from the Cubs July 8th contest against the Astros in 1994. At home, Grace launched a walk-off home run in the 11th inning off of John Hudek. It's hard to say for certain, seeing as there aren't many background details to work with. That said, it appears to be Mark's only walk-off hit during that campaign. 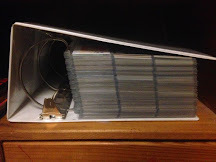 I've made it abundantly clear on this blog that I have a passionate love affair with oddball trading cards. Therefore, while they might technically be "counterfeit," the Broder cards of the 1980's have always caught my fancy. Their no frills, focus on photography may have been the result of very finite resources and materials, but many turned out to be a wonderful exercise in "less is more." I have no idea what the true origins of this Gracie are, but when I saw it as the cover card in a Cubs-themed repack in my old, childhood LCS, I knew that I had to have it. There's a certain mystique to it. SHINY!!! I have been, I am, and I always will be a sucker for super shiny cardboard like the Nth Degree parallel above, from the 1995 edition of Score's Summit. These flashy parallels were the most common insert in this then-high end product, falling in 1:4 packs - but, dagnabbit they're pretty. Honestly, the only thing holding this card back from being higher up on the list is the fact that it's horizontal and I have an irrational distaste for horizontal cards. Next up, another oddball appearance; however, this one is of the officially-licensed, team-issued variety. As the 20th century came to the finish line, Cubs fans voted on the All-Century team and the franchise produced a corresponding card set, which was given away in seven card packages in three installments. 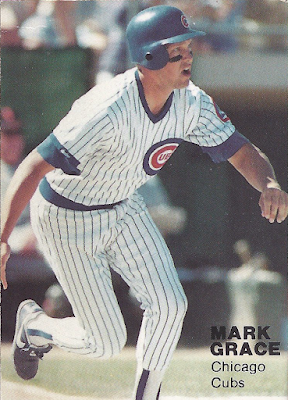 Mark was one of only two active Cubs to make the cut (Sammy Sosa being the other). I love that the set incorporates the Wrigley marquee into the design and, while earth tone borders usually don't capture my adoration, they work well here. Other pluses included thick, sturdy card stock, a top-notch fielding shot from an unusual angle, the use of the uniform number in the upper right corner, and even the Old Style branding in the bottom left. It's a set which befits Grace and his All-Century teammates. 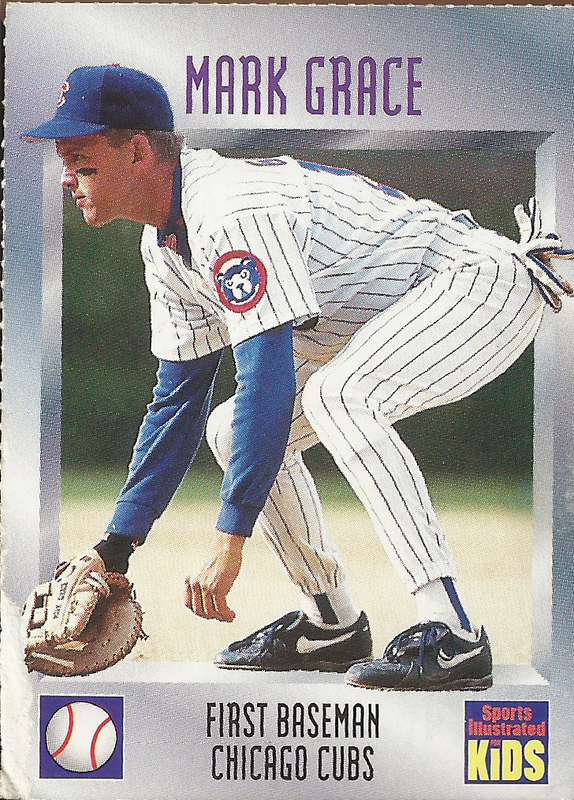 This is Mark Grace's rookie card from 1989 Topps, or at least the card I always picture as his rookie card, anyway. After all, it features the coveted Topps Rookie Cup and a Spring Training uniform number that he never sported in the Major Leagues. 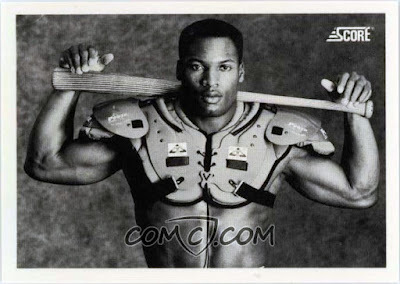 Of course, this is actually is second-year card, as he finished second in the Rookie of the Year balloting in 1988 and just squeaked into the Traded set before the year was out. My brain completely omits the '88 issue from memory, on the regular. I prefer the Rookie Cup, the slightly-jolting uniform number switch, and the batting practice shot showing Grace (presumably) tracking a prodigious drive by a Cubs teammate. That's how my mind works. The number two slot on this countdown belongs to another team-issued oddity. However, in this particular case, I know absolutely nothing about this card. The only reason I know that this Lincoln/Mercury-sponsored oddball was team-issued is because I picked it up from the Wrigley garage sale put on by the franchise way back in 2006. It appears to date from the 2000 season, as it makes note of his being the 1990's "hits leader" and he was gone by 2001, but that's all I can figure out. Was it part of a larger set? I would presume so, but the team-issued set for 2000 that I'm aware of looks nothing like what we have here. Overall, my love of oddballs and mystery is what ranks this card as number two on my Gracie list. 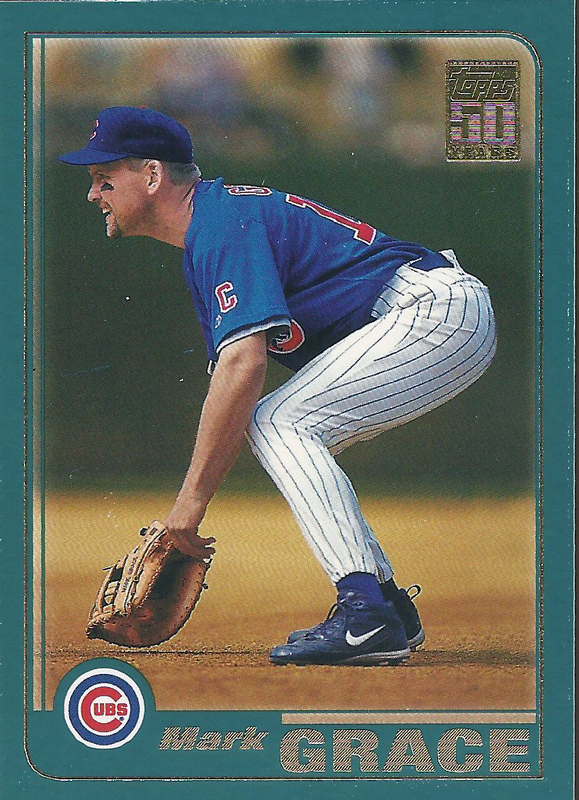 That, plus the crisp photograph of the grizzled veteran with a Wrigley backdrop and the home pinstripes, the blue borders, and, again, the use of the uniform number in the design make it a hard card to beat. I just wish I knew more about it. Can anyone out there fill me in? A Sports Illustrated for Kids oddball from 1995. I'm pretty sure that I've told the tale of this well-loved, perforated bit of periodical baseball ephemera before, but I'm going to go ahead and tell it again. This was the object of my first baseball card trade and is likely the jumping off point for my fascination with cards from off the beaten path. It's unfamiliar and sleek, sheet metal-esque design entranced me and I knew I needed to have it. My trading partner was a White Sox fan and a kid that I regularly hung out with, back in the day. In fact, I later went on to work for his father at my first job out of college. 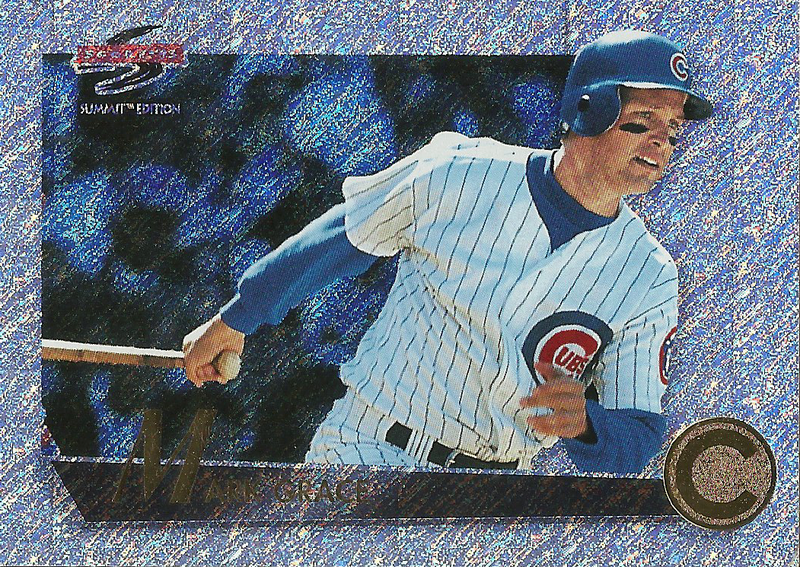 So, more than fifteen years later, I regaled him with how I traded my copy of the iconic 1990 Score Bo Jackson card for this Mark Grace from his son. At the time, I didn't realize that I got ripped off (symbolically recognized by the paper loss on the bottom left). Of course, time and junk wax production numbers has evened the "Score"; plus, I'm much happier with this curiosity featuring one of my all-time favorites. I still prefer my Gracie. There we have it - my top ten favorite cards of my favorite player who was active when I watched baseball. I hope you had as much fun reading this list and gandering at the cards as I did putting it together. Between my Santo countdown and this Grace rundown, I may have to make this a semi-regular feature on Wrigley Roster Jenga. 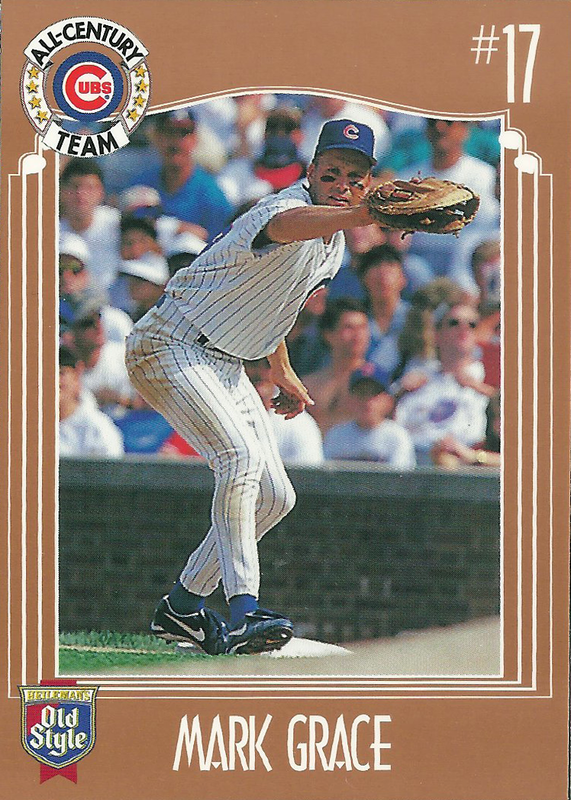 After all, I could still easily do a few other favorite players, like Ryne Sandberg, Sammy Sosa, Derrek Lee and Aramis Ramirez. Additionally, I could also throw in a few of my obscure Cubs favorites, such as Rey Ordonez or Ben Grieve. There's definitely some potential in this concept. For now, this will serve as my entry into Collecting Cutch's generous contest. Thank you for "Gracing" my blog with your presence today! Nice post! You get bonus points for the Monty Python reference. Love the oddball cards! 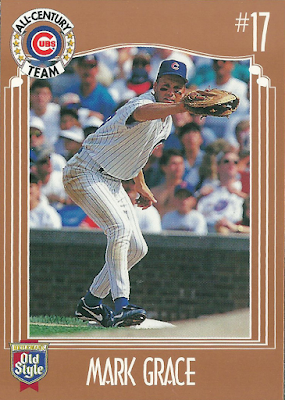 My top pick of your ten would be the Old Style All Century Team card. Topps did a nice job on the 100 years of Wrigley card. I missed that subset completely last year. Shtick it Burbs!!! Gracie is a fave pc. We share a birthday too. I've always felt like he belonged in the Hall. Thanks for participating in the contest. I always felt that Grace was severely under rated. Awesome countdown post, Tony! Grace was a much sought after card for me, too, in the waning years of my first go around at baseball card collecting and I was in Virginia! Garage Sale Day Gives Me Wings!